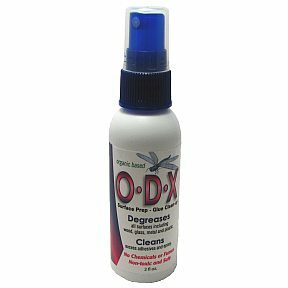 2 fl oz degreaser cleaner in travel size pump spray bottle. Organic based. No chemicals or fumes. Non-toxic and safe. Degreases all surfaces including wood, glass, metal, and plastic. Cleans excess adhesives and epoxy.